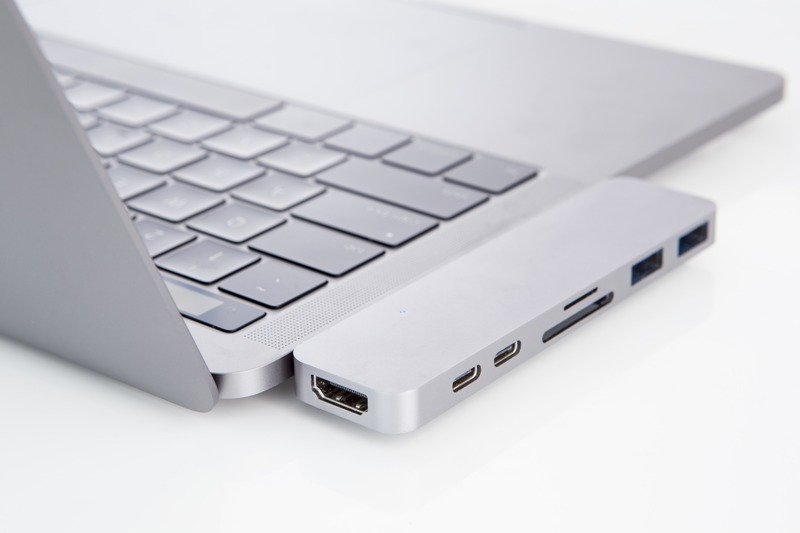 The HyperDrive is a unique Thunderbolt 3 USB-C adapter specifically designed for the 2016 MacBook Pro. 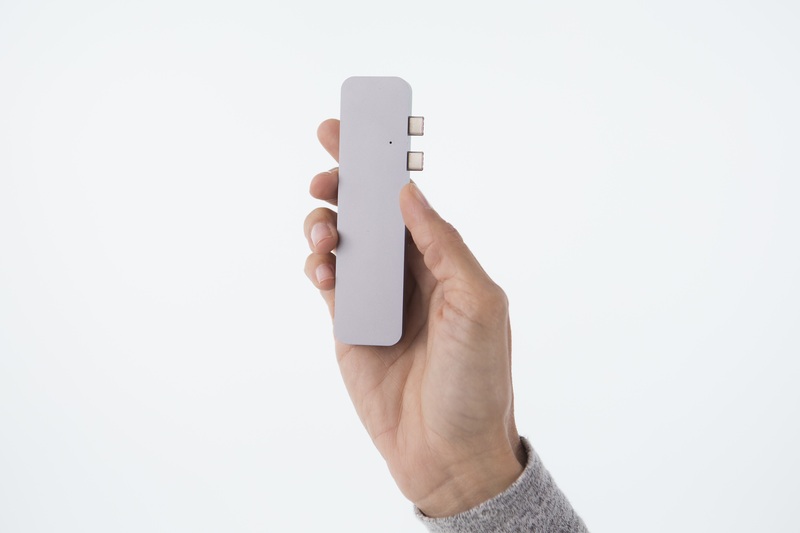 The adapter utilizes two Thunderbolt 3 USB-C ports on the MacBook Pro to deliver the fastest 50Gb/s bandwidth across 7 ports (HDMI, Thunderbolt 3, USB-C, microSD, SD, 2 x USB 3.1), virtually restoring all the ports found on the previous 2015 MacBook Pro model. 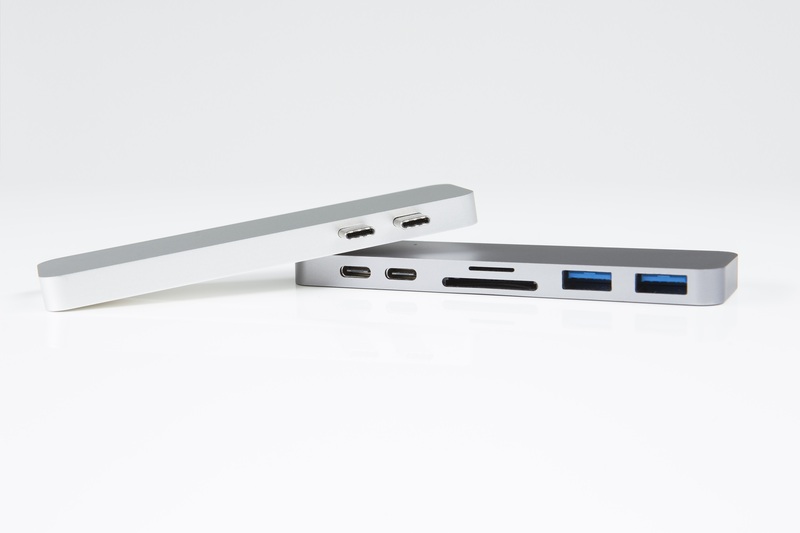 The 50Gb/s bandwidth allows for all 7 ports to be used simultaneously, including connecting to a 5K Thunderbolt 3 Display and a 4K HDMI display at the same time. 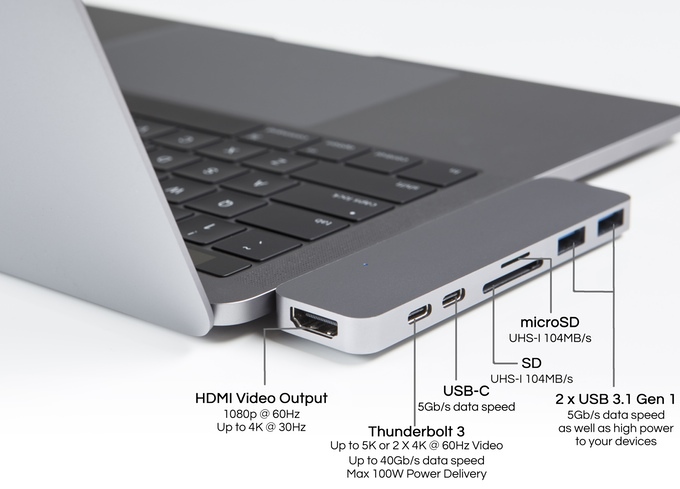 The Thunderbolt 3 port on the HyperDrive also supports up to 100W power delivery allowing the user to charge the MacBook Pro at full speed while using the HyperDrive.